Vann's Legend Of A Suicide was a bit of a hit last year. Whether it was a novel or a connected set of stories it was certainly a work hugely influenced by the real-life suicide of his father, an act on which Vann managed to execute a devastating literary revenge in the book's central section - Sukkwan Island. With such deeply personal material it was always going to be interesting to read his next fiction, to see whether he would continue to write about the same subject or move his focus somewhere else. With another titular island and the mention of a parental suicide on the very first page I was immediately worried that we might be treading familiar ground, a suspicion that both was and wasn't born out by the rest of the novel. Gary and Irene are a couple living in Alaska, a place they came to live in almost by accident, after a sojourn extended well beyond their initial plans and now several years down the line, their children grown up, their marriage is in danger of collapse. Having come here as idealistic children of the earth, hunting with bow and arrow over an unspoiled wilderness, they have become disconnected from that dream, living a life of unachieved goals. But to rescue that Gary has a project: a plot of land on the island of the title on which he will build a cabin for Irene and himself to share over the winter; a retreat they will build together, a shelter whose symbolism is all too clear. Starting the work far later in the year than he planned, the storm-laden first day does not augur well for the project's success. We have to get this load out to the island, he yelled back, and then he pulled another log, so Irene followed, though she knew she was being punished. Gary would never do this directly. He relied on the rain, the wind, the apparent necessity of the project. It would be a day of punishment. He would follow it, extend it for hours, drive them on, a grim determination, like fate. A form of pleasure to him. Irene followed because once she had endured she could punish. Her turn would come. And this is what they had done for decades now, irresistibly. Fine, she would think. Fine. And that meant, just wait. The building of the cabin is of course the rebuilding of the marriage but it is clear from the beginning that this will be a botched job. Gary has made little or no planning or preparation, the logs themselves seem to be a little thin for the archetypal log-cabin, he hasn't really thought about how to include windows or even a door. As the extract above shows, this is something that they are not united behind, each has their own reason for pursuing it, and if marriage is a hard enough path on which to keep two people running along together even when they have the same aims then we know that such divergence so early makes this a project doomed to failure before it has really begun. Irene could see, in one terrible moment, that they really would live out here. The cabin would not go together right. It would not have what they needed. But they would live in it anyway. She could see that with absolute clarity. And though she wanted to tell Gary to live out here on his own, she knew she couldn't do that, because it was the excuse he was looking for. He'd leave her forever, and it was not okay for her to be left again. That would not happen again in her life. That final sentence refers to the parental suicide I mentioned earlier. Irene's mother took her own life when Irene was a child, an event she has barely spoken about with her own daughter, Rhoda, until the conversation that opens the book. 'My mother was never real to me' she says, but the illness that she develops after that disasterous rain-soaked first day out to the island is the physical beginning of something that gives her an insight into what might have lain behind her mother's suicide, and Irene's engagement with what had remained taboo for so many years not only makes her mother real for the first time but is all part of her examination of a life in exile. A concentration again behind her right eye, a fault line, the bones of her skull like tectonic plates moving, grinding at the edges. Her only goal each day now was to get through the day, her only goal each sleepless night to get through the night. Reduced to existence, to bare survival, and there was something good about that maybe, something honest. But she still felt other things, too, light drifting notes somewhere out there: loneliness for instance. She missed Rhoda. She hadn't stopped feeling entirely. Gary meanwhile is driven by other forces far more destructive, as his stubborn behaviour on that very first day showed. One lifelong passion has been the epic poem Beowulf, passages of which he has always been able to quote, but it has taken all the years of his life so far, to have seen his life 'wasted', to finally understand that the poem isn't simply about religion but 'A kind of bliss to annihilation, to being wiped away. But ever he has longing, he who sets out on the sea, and this longing is to face the very worst, a delicate hope for a larger wave.' A self-destructive streak that is closer to a death wish drives his doomed labour and Irene as we know is convinced of his determination to fail and make his escape. Vann's description of landscape and location is excellent but it is his physical descriptions of labour that really give the reader a sense of the volatility of emotions and a psychological landscape as dangerous as the physical one around them. Occasionally the metaphors feel a bit obvious with Irene at one point even naming it as such after suggesting that Gary nail the ill-fitting logs together. And she was thinking this was some kind of metaphor, that if they could take all their previous selves and nail them together, get who they were five years ago and twenty-five years ago to fit closer together, maybe they'd have a sense of something solid. Part of me wished that the need to make things explicit had been resisted, the metaphors and symbols couldn't be clearer, but there is no doubting the power achieved by Vann in his examination of an intimacy battered by environment and experience and the danger of unearthing those thoughts that we have kept buried under a comforting and beautifying blanket of snow. In fact so good is the central story of Gary and Irene's marriage that it might have been enough on its own, containing the same kind of claustrophobia in wide open spaces that made Sukkwan Island such a powerful piece of writing. But it's easy to see how Vann needed to bring in the story of their daughter Rhoda not only because it allows us to develop the theme of parental care and the legacy a mother can leave her daughter (whether through advice or action) but also because her own desire to be married can contrast with the state of her parents marriage; her own dreams for a tropical wedding in Hawaii aren't just an obvious counterpoint to the freezing landscape of Alaska but her ignorance of her potential fiancees philandering and attitude to marriage show how far she is from even starting off on the right foot. By bringing in her elder boyfriend Jim, we then have to look at the young girl who turns his head, Monique and by extension her boyfriend Carl. Suddenly we have a story that has become a novel by widening the gaze but characters like Carl and Monique, however entertaining, weren't ever truly satisfying for me and I couldn't help but want to get back to the far more focused and compelling story on the island of the title. Might this have been better approached as a novella like Sukkwan Island, showcasing again Vann's unique ability to make us feel the claustrophobia of open spaces when combined with the suffocation of our closest relationships, or am I just wishing for what I would have preferred personally? Your own thoughts after reading it will be the only way to answer that one. But there is no doubting the significant achievements of this novel and the impact that Vann has made with his first works of fiction. Comparisons with Cormac McCarthy have already been made showing just how much he has cemented his arrival. Personally, I'm already looking forward to what he does next. This isn't going to be a traditional post from me as this is a book I read professionally, for production as an audio book, but which threw up some interesting thoughts as part of the process. DBC Pierre is an author who seems to attract a fair bit of opprobrium mainly for having had the audacity to win the Booker Prize with a novel that wasn't just a debut but a thoroughly disrespectful and un-serious one at that, added to which it seemed that the £50,000 prize money would go on settling debts from his drug-addled past, or at least some of them (he did at one point sell a friend's house and pocket the proceeds). Personally I remember reading it, finding it entertaining enough and was never quite certain why people were so upset when it won (2003 was a pretty odd year if you look at the long and shortlists) That said, the pasting that his second novel, Ludmilla's Broken English, received was so universal that a gifted copy of it still sits on my shelf, and the concept that Lights Out In Wonderland was the final part of a loose trilogy meant I had little interest in reading it on publication, a feeling unaltered after hearing the man himself read from it at a literary event. Authors are seldom the best readers of their own work and though Peter Finlay may have lead a dissolute life that closely mirrors that of Gabriel Brockwell, the anti-hero of this latest novel, that doesn't mean the story is best served by his own wearied and monotonous drawl. So when the job came through I was a little apprehensive. Narrated by Gabriel Brockwell the book begins as he comes round to find himself in a rehab facility having been dumped there by his father as a last throw of the dice to get his son back on the straight and narrow. Gabriel has squandered every opportunity he's been offered, a perennial under-achiever and after losing his job in the food court of a motorway services has occupied himself of late as part of a group of anti-capitalist demonstrators. Having decided that the only option left to him is suicide he then has a revelation: he doesn't need to do it right away. 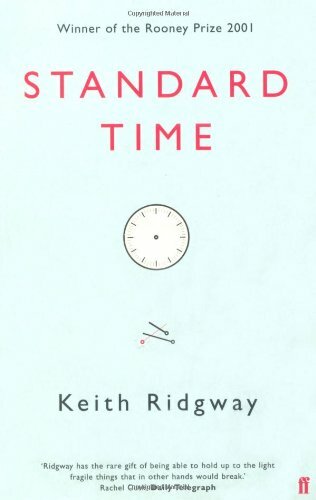 Suddenly he is in a state of limbo where the normal constraints of life no longer matter. If you know you're going to kill yourself you don't need to worry about consequences. Behaviour can be untrammelled, all bridges can be burned. Escape rehab, find old friend Smuts and muster forces for a final hoorah - A bacchanalian feast of excess not seen since the end of Rome. With the police and bailiffs on his tail Gabriel reassigns the group's treasury to his personal account and heads off after Smuts, which means a flight to Tokyo where he now works in a high-end fish restaurant. Smuts is a delicious concoction. A genius chef with a passion for the extreme he introduces Gabriel to sashimi that carries the added risk of death and a new breed of wines that invoke almost a new sense of taste. The two of them are like volatile ingredients that are safe when kept apart but lethal when mixed and their first evening together is a potent mix of fine food and wine, class-A drugs, brushes with the Japanese underworld which climaxes quite literally in a giant fish tank. Thereafter Gabriel will travel on to Berlin where the plot becomes ever more outrageous and the menu not just exotic but positively endangered. If this just sounds like an entertainment fit for the gourmand then that's to miss the pretty hefty satire. I say hefty because Gabriel sees himself as living in the end of days, the decline of Western civilisation, and has plenty of things to sound off about (Free-market economics, consumerism, drug-taking to name but three). Some of these fit more neatly into the plot than others and the use of footnotes to allow him to digress at will may put some readers off. For me as the reader of the audio-book version there's a particular challenge: not just how to read those footnotes so that you don't lose the flow of the book but how to keep the listener engaged during those moments of pontification. Pierre helps by injecting plenty of gusto into his diatribes and the rest is up to me of course. And that's the biggest challenge of course. Reading a whole book in first-person narration is an act of stamina in itself but Gabriel is also a pretty unlikeable character if truth be told so how do you make it a pleasant and engaging experience for the listener. Theatre is full of anti-heroes who appeal to the audience through wit and humour, making them complicit in crimes committed and I can only hope to do something similar: entertain, engage and perhaps find a smidgen of sympathy in Gabriel's fractious relationship with his father. I haven't read any of the critical reaction to this book in the newspapers but all I can say is that as a project to read and bring to life it's an absolute hoot. A day's recording is six hours of you talking, just you, talking and talking, and can be exhausting quite frankly. But when you've got something to get your teeth into it can be a lot of fun. I guess the only danger is if I come across like those people fond of a line or two of cocaine who love the sound of their own voice, finding themselves terribly interesting, whilst those that are forced to listen scan the room for the nearest exit. It will after all be only the click of a button away. It may only be 150 pages long but Erpenbeck manages to cram German history from the early twentieth century and then Hitler's stranglehold on power through to the reunification in 1990 with short chapters that look at the varying inhabitants of a house that stands on the shore of the Märkisches Meer in Brandenberg. It isn't the fact that she crams so much in that makes it a tough read, I am amazed at how she pushes what we might think the novella capable of with some bold techniques and bolder ambitions, but there is something very disorientating about it as a reading experience. Perhaps this is something that would be settled by a second read but as this is something that I seldom do I can only give you my impressions on this first visit. A prologue first tells us of the geological forces that have created the lake on which the property stands; let there be no mistake that however tumultuous the period of history we are about to enter might be, it is but a blip on the far longer timeline that has seen a glacier flatten all before it and alter the landscape irrevocably. That land has a long history of legacy and changing ownership as an almost fairy-tale like early chapter sets out. Change and ownership are two major themes that run through the book and when we meet The Architect who has been the householder for many years he is burying his valuables in the gardens that surround it, his ownership challenged by the changing political landscape of the Iron Curtain, forced out after having done business with the West. His profession used to encompass three dimensions, height, width and depth, it was always his business to build things high, wide and deep, but now the fourth dimension has caught up with him: time, which is now expelling him from house and home. Lest we have too much sympathy for him we will learn later that he himself has profited from the shifting sands, having bought the neighbouring property from his Jewish neighbours for half the market value when they could no longer remain there with any safety. Like Mawer's book there are some lovely descriptions of details of the house, the special pulleys, secret spaces, and special carvings that have been put there by the Architect in many ways as a token of his love for his wife. But this is a much less straightforward narrative with chapters coming non-chronologically and I found it took a fair bit of concentration, and even re-reading, to keep track of where exactly I was. One constant is The Gardener (forgive me John Le Carre) whose short chapters, often only a page, come as regularly as the seasons, detailing his labour. He has been there since the first holiday homes went up around the lake, thatching roofs and helping to coax healthy plants to life in the blue clay and sandy soil that lies around the shore. What could be rather boring descriptions of pruning, planting and the like are actually poetic meditations, another reminder of the survival of nature in the face of adversity and its place as the central character with all of the lakeshore's inhabitants merely walk-ons. Some of those walk-ons are outstanding though. The ten page section entitled The Girl is one in which we are hidden with one of the few characters to be graced with a name (Erpenbeck keeps most of her characters identified simply by their profession but significantly gives name to the Jewish characters - repeatedly, like a mantra, for the two families in The Cloth Manufacturer - in order to humanise those who will be de-humanised and erased by the Nazi era). We cannot help but think of Anne Frank as we read the story of Doris and her terrifying solitude and the impact that those few pages have quite incredible. For, having given this girl a name it will be taken away again. For three years the girl took piano lessons, but now, while her dead body slides down into the pit, the word piano is taken back from human beings, now the backflip on the high bar that the girl could perform better than her schoolmates is taken back, along with all the motions a swimmer makes, the gesture of seizing hold of a crab is taken back, as well as all the basic knots to be learned for sailing, all these things are taken back into uninventedness, and finally, last of all, the name of the girl herself is taken back, the name no one will ever again call her by: Doris. 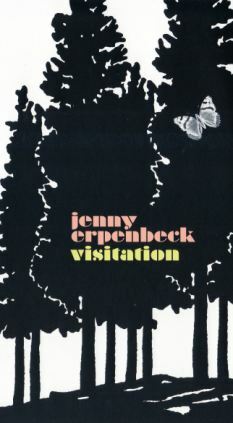 A Writer character gives voice I think to some of Erpenbeck's process, the sifting of historical material and presentation of personal loss (the book has its roots in her own family's history apparently). These letter's she's been tapping out have allowed her to draw to the surface many things that seemed worthy of preserving, while pushing other things, painful ones, back into obscurity. Now, later, she no longer knows whether it wasn't a mistake to pick and chose, since this thing she'd been envisioning all her life was supposed to be a whole world, not a half one. If that does give voice to any concern on her part then she needn't worry. In fact the problem for me if anything is that the book felt a bit leaden in places. Structure, prose and import all combine to weigh down the reading experience so that it felt like a much longer book than it actually is (this is no fault of the translation from Bernofsky which is excellent on a particularly challenging text). But as I've said, further reads would probably be rewarded with the richness and complexity obviously contained within in the same way that the house itself has little details that only a discerning eye would spot - a singular carving here, a hidden doorway there. The episodic nature of the chapters and the dislocation of each of the character's stories also link into other themes. The way in which the land around the house is divided, appropriated, re-assigned is a microcosm of what is happening to Germany herself. The old diary of the mayor shows his realisation that '...home had been transformed into a time that now lay behind him, Germany had been irrevocably transformed into something disembodied, a lost spirit...' and in many ways the disparate characters have a very temporary feel in the wider story of the land around them. But as The Childhood Friend muses, that doesn't mean we should underestimate the significance of any of them. ...it strikes him as strange that, independent of what is happening, one day is always followed by another, and to this day he doesn't know what it actually is that is continuing. Perhaps eternal life already exists during a human lifetime, but since it looks different from what we're hoping for - something that transcends everything that's ever happened - since it looks instead like the old life we already knew, no one recognizes it.